This listing is of all works, divided by type — Acoustic works, Electroacoustic works, Theatre and Multimedia works, and Recordings. For more details, please see my page on the website of the Contemporary Music Centre. 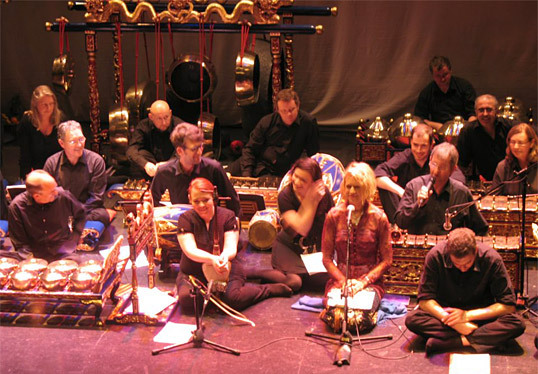 Singing with Javanese Gamelan Ensemble, Galway.